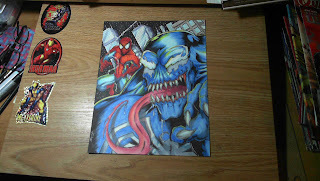 I may make some prints of the Spiderman/Venom in the future as well. 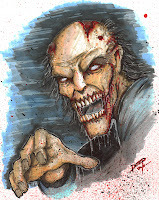 More updates soon...even over the holiday so keep checking back! 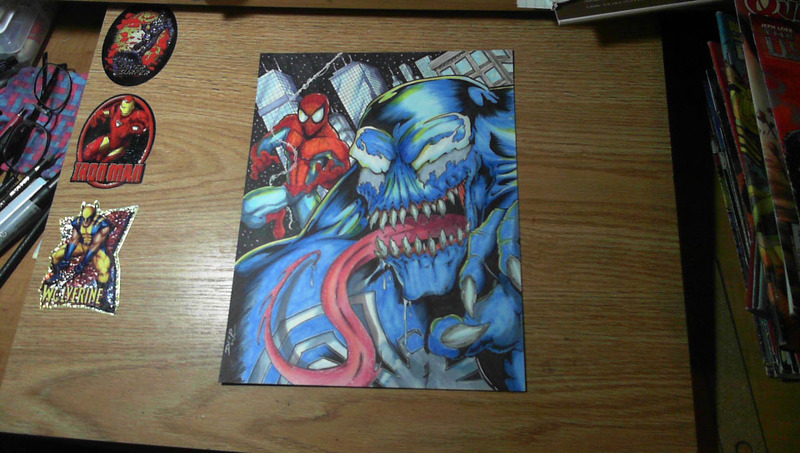 Scan of the 8.5x11 drawing of Spiderman and Venom! Finished the Venom/Spiderman image I had been working on. Overall I'm pretty happy with the way it came out. 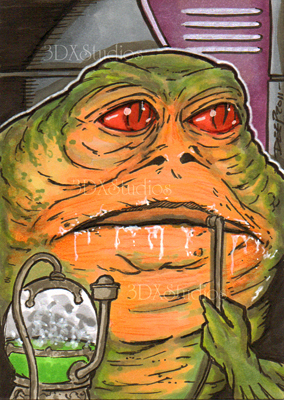 Always nice to step away from the sketch cards for a little bit and do something different. No back to working on Red Sonja! 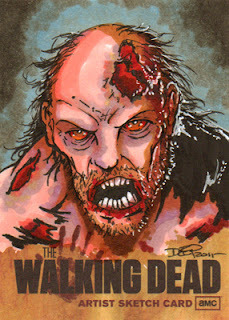 I'll have scans of this soon and even some stuff from card sets as well. 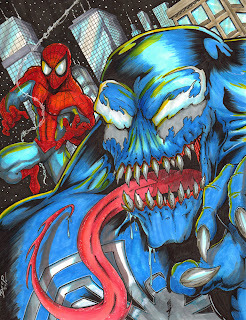 Just before setting up this Blogger site I had started working on this 8.5x11 image of Venom and Spiderman. 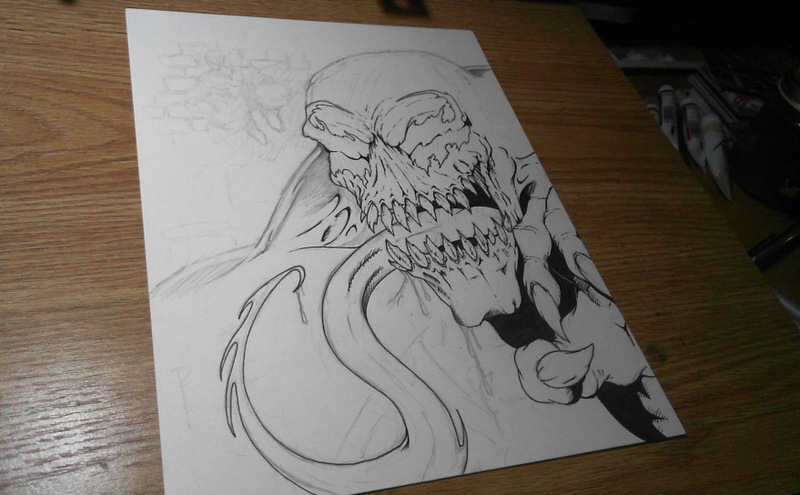 Just getting back to it now and doing up the inks on it. Hope to have it finished and in full color over the weekend and knocking out a bunch of Red Sonja and Tarzan cards as well. More this weekend! Testing how stuff posts in here and...oh what the hell here's a random Walker card I did from the The Walking Dead card set from Cryptozoic for now! 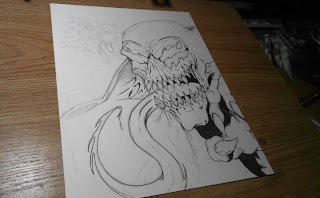 More to come soon including work in progress art, card set sneak peaks and UStream shows!